Here is a picture of Haitian president Michel Martelly as he is riding a Polaris. As per the news dated June 15, 2016, Senator Youri Latortue while investigating the use of PetroCaribe fund, has referred to the existence of a contract. The contract valuing $4.5 million out of the PetroCaribe fund to buy Polaris vehicles for the Haiti National Police (PNH) to facilitate their movement. The deal was signed by Jean-Max Bellerive, then Minister of Planning during Martelly regime in October 2011. As per Youri Latortue's investigation, the disbursements were made, but as per police chief, Michel Ange Gedeon, no such vehicle has yet been received by the police other than 20 such vehicles received as gifts from the Government of Canada since 2010. However, Harry Robert Tippenhauer ,the general manager of RHT Plaza, responsible to supply the vehicles said, they had not received any money out of that account as the said contract was cancelled by Laurent Lamothe then Minister of Planning and External Cooperation and head of government. 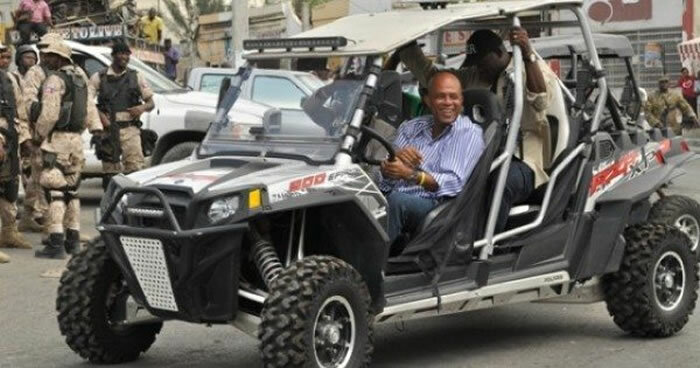 Recently, a picture released shows former president Martelly is driving a Polaris car! Thisis expected to be an event out of the ordinary. 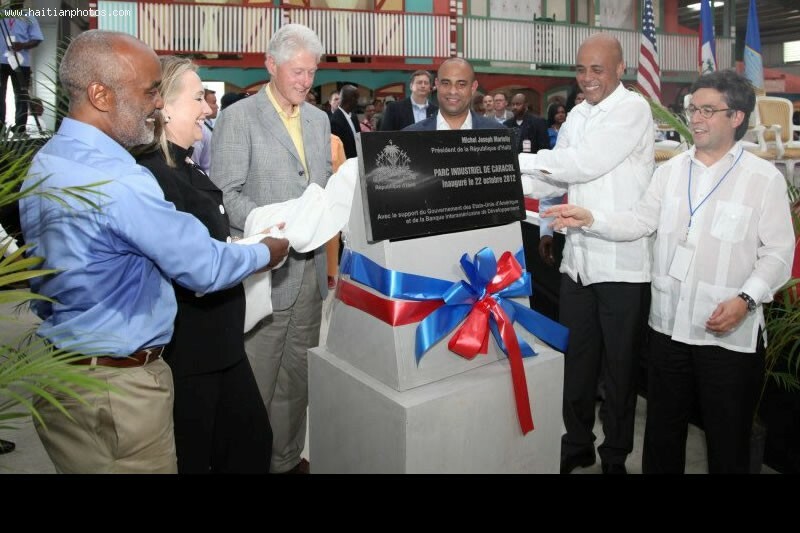 On December 28, 2012, the current Haitian President Michel Martelly Will Sing With the international singer Julio Iglesias In the Dominican Republic. Several importand individuals will be present at the charity event, including Henry Kissinger, designers Donna Karan and Oscar de la Renta. 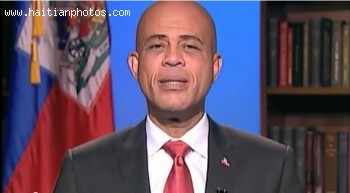 Here is a picture of Michel Martelly who is the president elect of Haiti. 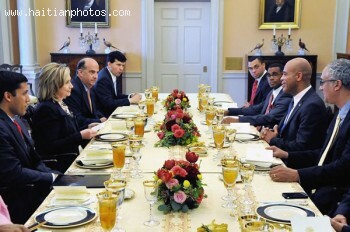 In the Meeting with U.S. Secretary of State, Hillary Clinton, the Haitian Joudalist was informed that Michel Martelly lay down the three biggest priorities for his government. That includes: education, building homes for people currently living in tents, and Haiti agricultural.  Here is a picture of the candidate Michel Martelly changing his position following the election in 2010. 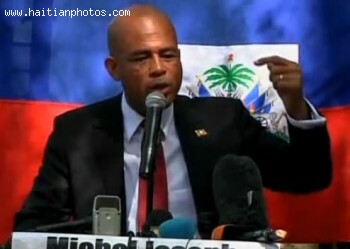 Martelly along with 12 candidates originally wanted the Haiti election 2010 to be rejected due to fraud. Within hours of the voting process, several instances of irregularity, chaos and confusion, were beginning to surface in many polling stations in the capital as well as various places throughout the country. 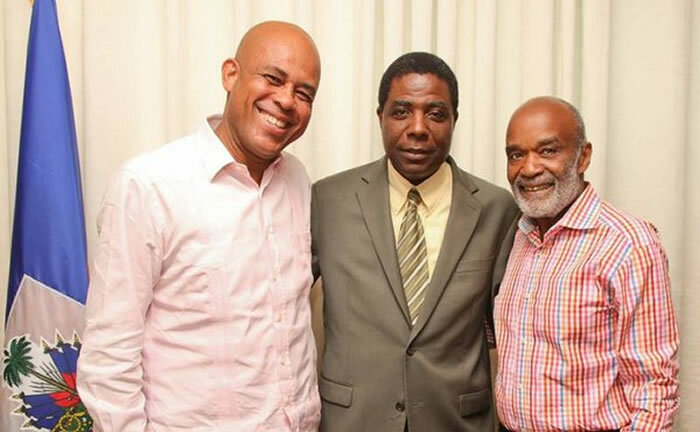 Here is a picture of Former President Michel Martelly together with Enex Jean-Charles and Rene Preval. Before being named as the new Prime Minister, he was one of Privert's advisers and was president in the ministerial cabinet as Minister of Planning and External Cooperation in the eventual government of Fritz-Alphonse Jean. Enex Jean-Charles is well known in politics since 1988. He is a friend of everyone, but with fewer enemies. He is a Professor of Administrative Law at the Faculty of Law and Economics (FDSE) of the State University of Haiti in Port-au-Prince (since 1991), and to the Valparaiso University in Port-de-Paix (since 2006). He has numerous published research reports and articles on administrative matters relating to decision making, local participation and development of administrative policy to his credit. He has extensive professional experience in the United States, Belgium, Ireland and the Republic of Georgia on community development projects. He is a well known figure in the international community of professors, politicians and community leaders. He wants transparency in the reconstruction of Haiti. He want to make sure the projects are good for Haiti before he giving his approval. Martelly also said that he has already identified some lands and financing sources to built permanent housing for the people under the tents.